With a strong half-bezel center head & a sparkling row of side diamonds this ring will both enchant & endure. This style of head is secure for an active lifestyle. 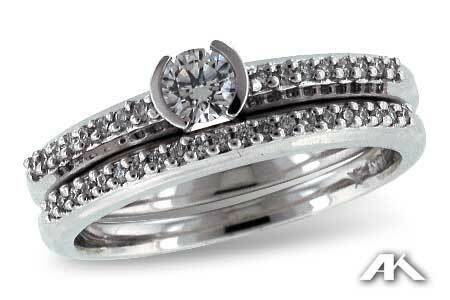 The accent diamonds are prong set down the side of the engagement ring and the band.